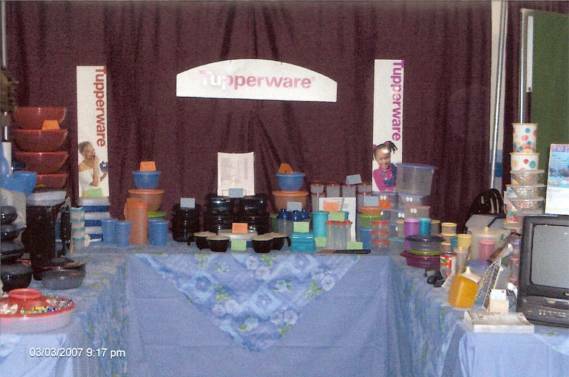 This is an example of a very large display, displays can be as simple as your Kit on display! Many Consultants and Managers are taking advantage of the opportunity to set up “Display Tables” at Hospitals – Offices – Schools – Fund Raising Events – and any other place they are able to, set up one table or for even larger events use two or three. Remember everything you do should lead to parties. Be sure to go in a ‘Dating’ and ‘Recruiting’ frame of mind.